Roger: Sure! Born and raised in Brooklyn. Writer, father and founder of the Zombie Combat Club. IZA: What’s the Zombie Combat Club and how did that come to be? Roger: The concept for the Club came to be the same time as the idea for the book, the thought being that if the book never comes to be, the content I develop could live on the website. Basically, it’s a group dedicated to figuring out ways to defeat the living dead in battle without the use of firearms – all hand-to-hand combat. IZA: When did it start? Roger: Around 2008 about a year after I’d been writing content for the book. IZA: How did you decide to write a book specifically about the necessity of facing the undead with hand weapons (and/or bare hands)? Roger: I’m a long-time zombie fan. And as a long time fan I know that in order to stop a zombie you have to shoot it in the head to destroy the brain. Well, I don’t own a gun, so I started to think “If the zombie apocalypse happens, I wouldn’t be able to run out and get a firearm, so what would I do?” Then I started to think of a zombie as a true opponent – breaking down its anatomy, strengths, weaknesses, and vulnerabilities. Then I began to research all the possible ways to deal with the living dead using all types of combat and improvised weapons. IZA: Do you have a background in martial arts? Roger: I’ve studied a variety of martial arts throughout my life, but I’m definitely not an expert. That was also part of my theory in the book: that you don’t have to be a Shaolin monk or someone with 10 years of combat experience or a black belt. The techniques I detail are those you can learn very quickly. The martial arts techniques that they are derived from you probably learn in the first six months of study. IZA: How did you got about researching the book? Roger: I knew that for every aspect of the book I wanted to cover, I needed a consultant to help keep me honest and authenticate my findings. I know that may sound crazy given the subject matter, but although we’re talking about the living dead, I wanted the science and the combat methods to be as authentic as possible. I wrote up a list of people who I thought would make good consultants, and I was very fortunate to have most of them agree to help. IZA: Is this your first book? Roger: It is, yes. I’ve written before in my career, but it was mostly marketing and advertising related work. IZA: Let’s talk some about zombies. You said you’re a longtime fan of the undead. Do you remember what your first exposure to the undead was, and when? Roger: Definitely – it’s imprinted on my mind so vividly. My dad, at my urging, took me and my younger brother to see the original Dawn of the Dead. Both he and I have been affected ever since. IZA: How old were you? Roger: Since Dawn came out in ’78, I must have been around 8 or 9 years old. Not the wisest parenting choice, but hey, look where’s it got me! IZA: What are some of your favorite zombie works, in any medium? 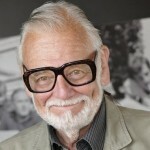 Roger: Like most zombie fans, I worship at the alter of Romero’s original trilogy. I also love Max Brooks’s work, and he was clearly an inspiration for my book as well. Kirkman’s Walking Dead series is just fantastic, and I’m so thrilled to see Darabont handling the AMC adaptation. I also like some of the more recent stuff – I thought the Snyder’s Dawn reboot was well done, although I’m not a fan of the sprinting zombie. IZA: That leads into my next question. What made you choose to make your zombies as you did? Is that your platonic form of zombie, or did you simply choose it for the fact that it seems to be the most common/popular zombie model? Or for some other reason? Roger: Great question. I’d say I’m more of a traditionalist, so I’m definitely working from Romero’s original canon. But at the same time, I can appreciate why people like the running zombie, and I know why they do. Someone sprinting full-tilt at you looking to rip your throat out is horrifying. That’s why in my book, although I do stay true to the original theory (slow moving, brain destruction, zombies don’t just eat brains) I also made some subtle adjustments to show that the zombie is a vicious opponent in close combat. IZA: I liked those additions, by the way. Roger: Thanks! I didn’t want to divert too much so that people were freaked out, but make it subtle so that people could appreciate the reason why you need to be prepared. IZA: So, let’s say the zombies are on their way. You’ve got a chance to equip yourself with any hand weapon. What is your choice for the best all around weapon for you? Roger: It’s great that you specify that it’s “for me,” because weapon choice really is a personal decision that takes into account your own specific physical traits. There is no “one size fits all” when it comes to a zombie defensive weapon. I’m a stocky guy, so I’m probably going with a melee range weapon – something like a mace or a crowbar. IZA: I am a machete man, myself. Roger: Great choice as well, just make sure you have that sharpening stone handy. IZA: Indeed. A dull machete is pretty useless. 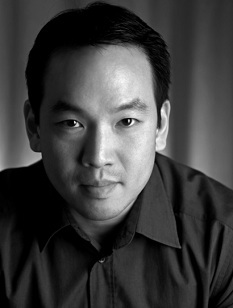 So, I know it’s a little early, since the book is just coming out, but what is next for Roger Ma? IZA: Any book tours or personal appearances planned to promote the book? Roger: We’re doing a big book launch appearance in NY at the Park Slope Barnes and Noble in Brooklyn, my home borough on April 9 at 7:30 p.m., which should be a blast as there will be a makeup artist on-hand to “zombify” anyone who wants to be safely converted to the living dead. 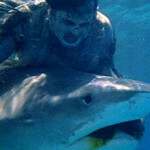 Other dates and locations for appearances will be posted on the www.zombiecombatclub.com website. IZA: I forgot to ask — how many kids do you have, how old and when/if do you plan on introducing them to zombies? Roger: Ha, thanks for asking. I have an 18-month-old, who by the way, inspired me to write that section in the book on protecting children from zombie attack. I literally wrote that part two weeks after he was born. I have another one on the way shortly in May, so I’ll be pretty busy with him as well. As far as introducing them to the undead, it’s already happened, my boy plays with my Resident Evil “Zombie” figure on a regular basis. I guess when your dad writes a book like this, it’s inevitable. Roger: Before having kids, I thought that being eaten by zombies was the most horrific concept. Now I realize it’s not – the thought of your children being eaten by zombies is much more horrifying. IZA: So true. So, any final thoughts you want to share on the book, yourself, zombies in general or the world at large? Roger: Sure, I mentioned that I’m a big zombie fan. The audience that I hope I please the most is that base: the die-hard fan. I don’t have to tell you Cory, that for every time we get a quality work in the zombie genre, we sift through a lot of not-so-great stuff, to put it politely. I hope the book is part of the former. IZA: Great. Well, I can tell you its authenticity and sincerity are obvious. I read a lot of cash-in BS, and this isn’t that. Roger: Thanks, I appreciate that! Intrigued? 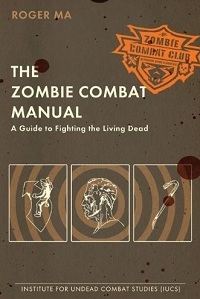 I’ve got a brand-new copy of The Zombie Combat Club to give away to one lucky winner! Just leave a comment (or a comment on the Facebook fan page, or even an @reply on the official Twitter account — I’ll enter you once for each type of reply) telling me what hand-to-hand weapon you would choose to face the zombie hordes. I’ll choose a winner at random from the entries at the end of the month. And don’t forget to read the review here! So, for my weapon of choice: I happen to own a 2-handed broadsword that should do rather nicely, but I also have a 30″ carbon steel wrecking bar as a backup option. I’d probably use a fire axe. They’re sharp, durable, rather light and more compact than a regular axe. Let’s see…for a melee weapon? I’d want something silent that wouldn’t attract too many more zombies. A sledgehammer would be nice, as well as a metal bat. A wooden bat would be good too, as long as you drive nails through it. We do own a circular saw and a weed eater. So I’m thinking ‘Figure out a way to attack saw blade to weed eater’ and you’ve got a viable weapon.